What makes protracted El Niño to last longer than canonical El Niño? 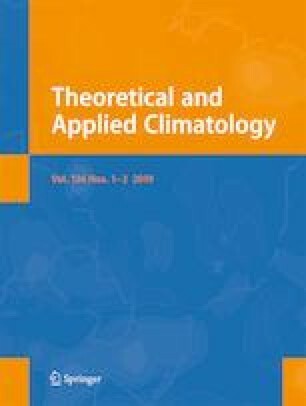 Behavior and teleconnections associated with canonical El Niño (~ 18–24 months; CE) and protracted El Niño (> greater than 3 years; PE) events are revisited in the present study. A careful look at seasonal mean of SST anomalies averaged over Niño3.4 region for the period 1980–2010 shows that El Niño episodes in the boreal winter of 1991 and 2002 do not turn into La Niña as CE events (1982–1983, 1986–1988, 1997–1998, 2009–2010). Unlike phase transition in canonical cases of El Niño followed by a neutral or La Niña event, El Niño episodes in the years 1991 and 2002 continued as weak El Niño for another 3 years. A typical signature of CE events in the tropical Indian Ocean (IO) is basin-wide warming, whereas in the case of PE events, warming remains highly localized and relatively weaker in magnitude. PE events are found to be associated with almost no subsurface ocean propagation in the equatorial Pacific Ocean (PO). PE events are linked to more frequent westerly wind bursts (WWBs) of weaker intensity and smaller timespan compared to CE cases. Strong IO warming during CE events generates easterlies in the equatorial western PO, which extend further towards the eastern PO as upwelling Kelvin waves. This upwelling Kelvin waves shoals thermocline through Ekman divergence and cools the sea surface temperature (SST) during the decay phase of El Niño. During PE cases, localized IO warming is incapable of generating significant atmospheric response in the form of easterlies and therefore frequent WWBs help in maintaining positive SST anomalies in the eastern PO. Authors thank the Director IITM for his full support. Authors thank NCAR for making available the NCL software. All the data sources are duly acknowledged. Indian Institute of Tropical Meteorology (IITM) is fully funded by the Ministry of Earth Sciences (MoES), Government of India, New Delhi.